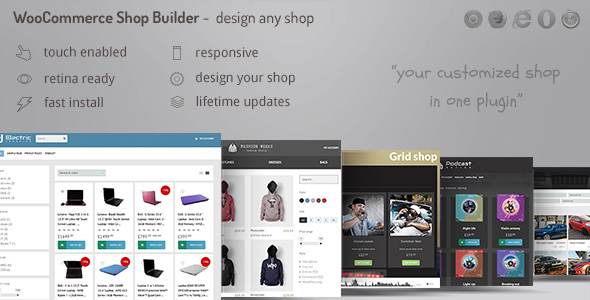 Implement any kind of shop with WooCommerce Shop Builder . If you don’t find the layout you are looking for your shop, you can achieve any layout with our WYSIWYG editor. .